First off, I would like to say thank you for your role in educating the next generation. Secondly, I wish you and your wife all the best with your new family. Before I get too off base, however, I must focus my attention on the question at hand. You’re in need of a “last hurrah” before parenthood, and I intend to drag out every trick in the gumshoe book to find it for you. You have done a great deal of my work already, and are off to a smashing start. You have several key places you’d like to visit, which will help narrow down the scope of destinations. You have a reasonable budget for an extended vacation—granted, your travel dates happen to coincide with high season for many of these places, but that doesn’t mean you can’t make it work. And you have some flexibility, which makes all the difference when trying to travel on a budget. Though I think many of your choices would make an ideal vacation, I’m going to focus my attention on Paris because I think you will get the most bang for your buck there. Plus, it’s a great place for spending time together while it’s still just the two of you. Begin planning by pricing airfare. I found round-trip tickets from New York City to Paris starting at $959 per person (with taxes and fees) departing August 9 and returning August 31. From here, you can compare prices to see if you can find something lower. You can afford to wait until you find a price you like since you have some time to look around before you depart. Deals are offered all the time, but summer deals typically become available closer to the travel times. However, for the sake of this column, let’s just say that $959 is the lowest price you can find, meaning that you will spend $1,918 for the two of you on airfare, leaving you with $4,082 for lodging, food, and transportation for three weeks. Remember this is the high range of what you might spend on airfare, and you can more than likely find a better deal if you stay on top of it. Next, find a place to stay. An apartment rental is your best option, given that you’ll be spending three weeks in the city. Plus, it will allow you to live like a local and you can save money on food by cooking at home. A provider like VRBO offers apartment listings all over the city, and puts you in direct contact with owners. You can save a bit of extra cash by staying in a more low-key neighborhood instead of a popular tourist area like the St. Germain district. The Montparnasse (15th arrondissement) and Montmartre (18th arrondissement) areas are both good places to start looking for an affordable place to call home. Plus, they both offer easy access to the Metro, which provides transportation all over Paris. I priced a one-bedroom apartment in Montmartre starting at €500 per week (about $717 U.S.; check with XE.com for current exchange rates), equipped with a full kitchen, including a refrigerator and dishwasher; linens; queen-sized bed; WiFi; CD player; and a washer. You can find a studio apartment for less than this, but it may be a bit more basic. Renting this place for three weeks will cost about $2,151 (with taxes and fees), bringing your total for lodging and airfare to $4,069, leaving you with $1,931 for food, public transportation, and entertainment. This comes to about $92 per day, which is more than enough to get around and grab a bite to eat. By budgeting this amount, you can carry what you don’t spend one day over to the next for a nicer meal, souvenirs, and the like. One way to save in the city is to skip the expensive dinners, and instead enjoy a large prix-fixe lunch at a local cafe. Grab a ham-and-cheese baguette from a local vendor at night or cook at your vacation rental. The Metro makes getting around the city a breeze, and you can purchase a bundled package of tickets based on the number of travel days and zones through the RATP to help cut down on costs. You also don’t have to spend a lot to see a lot in the City of Light. Many museums, including the Louvre and Musee d’Orsay, offer free admission at different times throughout the week. Plan accordingly, and it won’t cost you a dime for an evening of art. As always, I wish you the very best in your travels, as well as in life. I hope you and your wife have a fantastic getaway for just the two of you, wherever you may go. As for my other readers: Where would you send Craig and his wife? 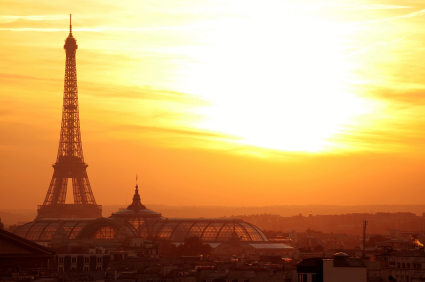 Do you have any money-saving strategies for Paris? Please share any and all tips in the field below.